Nike Zoom Phantom Venom Pro TFTurf Soccer ShoeSTRIKE FEAR.The Nike Zoom Phantom Venom Pro TF is engineered for powerful strikes that win games. The upper is textured for precise touch and perforated for breathability. 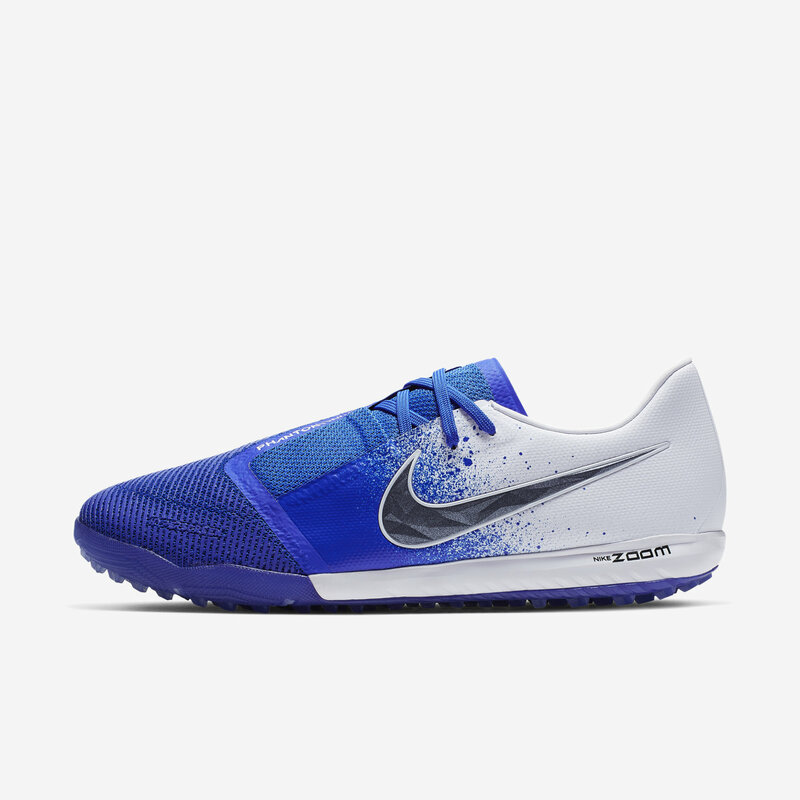 A Zoom Air unit in the heel provides lightweight cushioning on turf surfaces.Durable overlay is textured for precise touch and perforated for breathability.Zoom Air unit feels lightweight and responsive.Stretchy tongue conforms to your foot.Rubber sole provides traction on turf surfaces.